Pioneer DJM-750MK2 4-channel DJ Mixer DJParts - All Variety of Parts that DJ Needs. 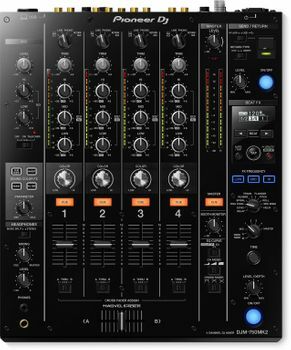 You can perform seamless mixes on the DJM-750MK2 thanks to the smooth curves on the EQs and channel faders. The Magvel crossfader, inherited from the DJM-900NXS2, gives a precise response and assured feel during even the most complicated scratch techniques.